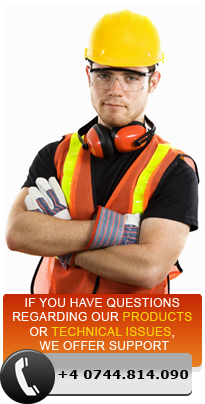 For rasping the Exterior Insulation Finish Systems (EIFS) foam. Rates just below a diamond on Mohs hardness scale. Attaches to any extension pole so you can rasp the hard to reach area with ease. 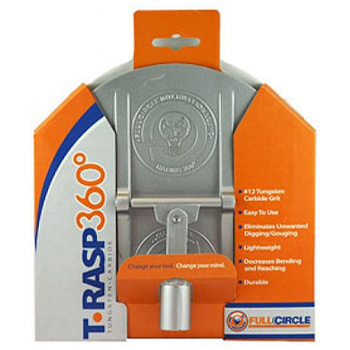 The T-RASP 360Â° is made with a light weight aluminum plate that weighs only 1 pound. Decreases the amount of bending and reaching associated with hand held rasps. The T-RASP 360Â°(TM) round design gives you a full range of motion and eliminates the problem of corners digging into the EPS.